Chivas Brothers inten ds to replace The Glenlivet 12 Year Old with its new no-age-statement expression Founder’s Reserve to alleviate pressure on aged whisky stocks. The Glenlivet Founder’s Reserve, which was revealed in October last year will replace The Glenlivet 12 Year Old in mature malt markets, including the UK, from March. However, it will not be replaced outright “on a global basis”. Laurent Lacassagne, CEO of Chivas Brothers, admitted availability continues to be a “big challenge” in the malt industry, but was firm on Chivas Brothers’ strategy to retain age statements within its portfolio. Lacassagne declined to specify which markets will lose the 12 Year Old. Founder’s Reserve, a no-age-statement whisky which carries an RRP of around £30 per 700ml bottle, has been matured in “a range of traditional aged oak casks”. Vicky Hoey, head of Champagne and premium spirits at Pernod Ricard UK, who will cease distribution The Glenlivet 12 Year Old this month, said: “Purchase intent among our test group for The Glenlivet Founder’s Reserve was even higher than for The Glenlivet 12 Year Old, so we believe that the new expression will not only be a hit, but will also generate additional interest in The Glenlivet range. 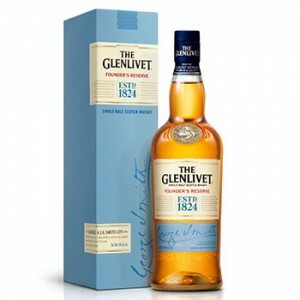 Asked whether Chivas Brothers intends to replace Nadurra 16 Year Old with The Glenlivet Nadurra First Fill, which has a similar taste profile and was released in September 2014, Lacassagne said: “We are experiencing challenges in terms of availability of highly aged products… it’s something we need to manage. The Glenlivet is one of just two single malt Scotch whiskies to sell over one million cases annually, reaching the milestone at the end of last year.